You just can't get dependable help these days! Lol. Your card is adorable! Love those pines in the background and the sentiment coming from the chimney. This is the cutest card! I love how you put the trees in the back and then popped the bright red house in front. Love the smoke message coming out the chimney. I might have to rethink getting the Wonderland set. I can't tell you the number of times I have seen one of your cards and then had to have that stamp set. You are so creative and Iove your work! Good luck with finishing your kitchen. Beautiful card,Linda!! I love the trees in the background and how you did the sentiment!! Fun!! 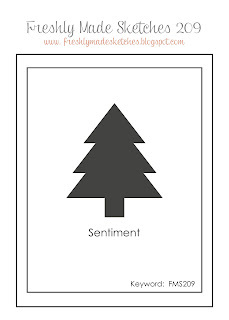 Love this card, Linda - perfect arrangement for the little house! I'd be inclined to fire that gal who's meant to be working on your kitchen. Fancy putting card-making ahead of anything else ;) This particular card-making, however, was worth a delay to the kitchen! Love this little scene and your house looks fabulous. 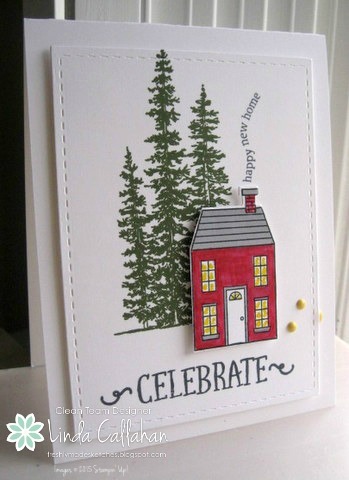 This is such a sweet card, I love how cozy it is with the "Happy New Home" coming out of the chimney! That backsplash looks amazing! Linda love your card. I also need a New Home card and I just LOVE the way you made the sentiment into smoke. How clever you "always" are! Love your kitchen tiles .... very cool. I know the "type" of tile that is, so I can imagine the colors of ice blue.... very pretty. Gorgeous card Linda! I just love that house and the trees in the background! Great colouring! Love the new kitchen as well! Looking awesome! Whatever you do don't leave those workers a bad review on Angie's List, especially the gal who is in charge of the window treatments. It will come back to haunt you!! Hopefully before the snow really starts to fly you can get everything back to rights. Beautiful 'New Home' card, Linda! The sentiment in the smoke is such a good idea! I like the red house, too. What a darling scene you created! And that is exactly why I never, ever do any home remodeling!! I'd be in a constant state of disrepair because I'd never finish! And my husband is worse than I am. I LOVE your card. The tall trees behind the little house are wonderful. And I love the way you have done the sentiment! Love your little red cottage! And what a fun use of the sketch. 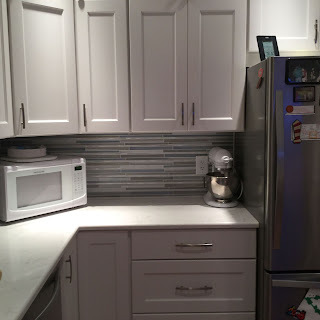 Now, that backsplash. I am totally envious....remind me to show you a picture of some tile in my basement though. Really wish I had the guts to redo the kitchen!! I love the card! Such a great design. Puffs of smoke from a chimney always make me think of a happy home. That design totally nails how a home should feel. The kitchen looks so great and I'm sure when it gets finished it will be even more amazing. Send your remodel team my way when they finish your place.